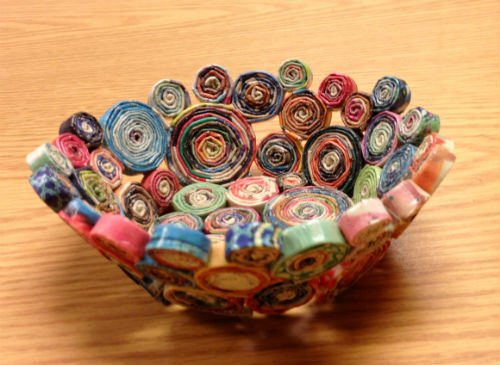 Decorative bowl made entirely from one catalog. The holiday season is a perfect time to experiment with making recycled and upcycled gifts and decorations. When you give a gift made from recycled materials, you are not only giving a thoughtful handmade gift – you are also giving a gift with a teensy-weensy carbon footprint! And who doesn’t love that? One of the joys of creating items from found objects and recycled materials (okay, this may be debatable if you lean toward being a pack-rat) is that you look at trash in an entirely new light…and almost nothing is really trash. Another joy is that your costs for materials are minimal. Win/win! There are several approaches you can take to make recycled gifts and holiday decorations. 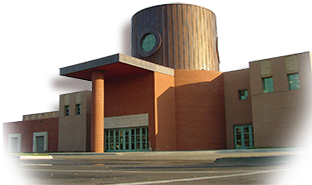 One is to create items from materials that would otherwise be trash, as mentioned previously. Another approach is to create items from “found objects” which can include many materials you might find outside such as pine cones, acorns, twigs, etc. You can also include old buttons, fabrics, broken jewelry, etc. in this category. And you can combine recycled materials with found objects in a multitude of creative ways! Creating gifts and holiday decorations can be a wonderful family activity. And when you recycle or upcycle, you are also teaching your children to be thoughtful gift givers and good stewards of the Earth! Posted in Around the Home and tagged crafts, DIY, handmade, holiday, holiday craft, home, Home Decor, Kids, recycle, recycling. which book holds the directions for the coiled paper bowl?